This prestigious absentee operated San Fernando Valley Salon and Spa with great street front visibility is ideally located to draw Beverly Hills, West Hollywood and Hollywood customers to its convenient location, as well as those from any part of the San Fernando Valley. The salon boasts nearly 20 rental and commission based stations, esthetician rooms and other private rooms for any type of complementary service (hair, facials, waxing, massage, makeup, etc. ), a fantastic retail selection, a well appointed customer waiting room as well as its own separate wash and dry room, employee break rooms, color rooms and customer dressing rooms. Location and Facilities: This well appointed 3,000 sq. ft. facility leases for $10,200 per month on a lease with 2 years remaining, and 2 three year options. All of the business's furniture, fixtures, equipment and goodwill will be included in the sale. 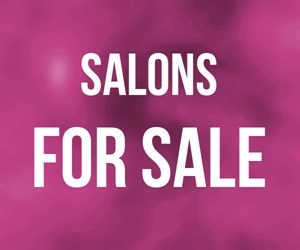 Market Information and Position: As the salon is absentee operated, the salon may benefit from an onsite working owner who is either a service provider themselves, or who actively engages in further promoting the salon and its services via active public relations campaigns, advertisement, partnerships with complementary businesses and such. Given the diversity of the spacious layout, one may also seek to implement any number of additional services in the salon and spa including medical spa type of treatments (laser hair removal, injections, etc. ), additional day spa or massage services The location boasts excellent street visibility, freeway access and is in a prime location that is accessible to clients hailing from any area of the San Fernando Valley as well as the most desirable areas of Los Angeles proper. Given these factors, as well as the salon s 10 year history and formidable client base. Competition: This salon has a competitive advantage over neighboring salons that may compete at the same level in the area.